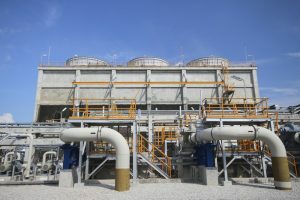 You are making the ideal connection if you need a cooling tower repair, cooling tower cleaning, or cooling tower maintenance in Silver Spring, Maryland. ATC sets the standard for commercial HVAC services in this area, and we greatly value the many relationships that we have built with members of the business community over the years. We do top quality work at all times, but we also keep our prices competitive, so you get the best of both worlds when you choose Air Cleaning Technologies. Silver Spring is a fine place to live in its own right, and to top it off, everything that the Capital Beltway area has to offer is easily accessible. Career and business opportunities abound, and families can enjoy nature centers like Rock Creek Park, Sligo Creek Park, and Brookside Garden. We enjoy the time that we spend in town, and we serve all neighborhoods, from Woodside to Long Branch to Indian Spring Village. To sum it up in a phrase, for cooling tower cleaning, cooling tower maintenance, and cooling tower repairs in Silver Spring, Maryland, Air Cleaning Technologies is the trusted resource. We certainly have you covered if you ever need cooling tower repairs, cooling tower maintenance, or cooling tower cleaning, but our offerings do not stop there. Air handler maintenance is another one of our areas of specialization. When your air handler is operating properly, your energy costs will be minimized, and the lifespan of your unit will be prolonged. In addition to the air handler maintenance Silver Spring, Maryland businesses can obtain from our company, we can also be called upon to provide air handler repairs. Our experienced, professional technicians have the ability to work on air handlers that are produced by all the major manufacturers. Plus, we know that you need a resolution as quickly as possible, so our trucks are very well equipped with all of the parts and tools that our technicians need to get the job done in just one trip. When you are faced with an emergency situation, you need a very rapid air handler repair or cooling tower repair response. This is exactly what you will get when you reach out to our company, because we prioritize emergency situations. Whenever you need an air handler repair, air handler maintenance, a cooling tower repair, cooling tower maintenance, or cooling tower cleaning in Silver Spring, Maryland, give us a call at 703-547-1680 and we will take care of the rest.